Is there a public service in the UK that enjoys a better reputation and is held in higher regard than the fire service? If so, I must have missed it. The UK fire service rightly enjoys a fantastic reputation and has shown a real ability to respond to changing operational demands and challenges over the years. The fire service has also shown real leadership in fire safety campaigns, ranging from smoke alarms through to the more recent focus on sprinkler installation and highlighting the risks associated with hoarding. Responsiveness and leadership is clearly at the heart of operational fire fighting and it's these qualities that authorities will need to draw on in order to continue addressing the fundamental challenges in driving cost efficiencies and falling levels of funding, which the sector is currently experiencing. Sir Ken Knight, in his report Facing the Future, highlighted many of these challenges. One of the main conclusions from Sir Ken's report is that the current 46 local fire authorities in England “does not make for a sensible delivery model” – something which those looking at the sector's financial position will likely agree with. In addition, the Local Government Association (LGA) report AnyFire highlighted the significant financial challenges that English fire services face. The report notes that fire and rescue authorities are starting 2014/15 with a third less in Government funding than four years ago, with further reductions likely. The fictional AnyFire authority is described as "on the brink of a financial crisis where it will no longer be able to provide even the minimum level of risk mitigation". Whether or not that is the case in the short-term, there seems little doubt that fire authorities are approaching a "tipping point". While there may be a case for structural change and the fictional AnyFire authority is "on the brink of a financial crisis", there have so far been just two successful fire service mergers in recent years. Within the past seven years, the merger of Devon and Somerset fire authorities in 2007 and the establishment of the Scottish Fire and Rescue Service in 2013, were both seen as highly ambitious and complex mergers. Yet, they're both also hailed as being successful projects. They each demanded significant management and non-executive time and were driven by a clear focus on delivering significant efficiencies through rationalisation. Clear political support, from inception, to execution and integration, was a vital component of each of these mergers. Despite the success of these two examples, there do exist a number of barriers and challenges to mergers. Discussions with senior bodies in the fire services highlight the impact of different council tax levels between fire & rescue services as one of the most significant barriers. To a large extent, this helps to explain why there have been so few mergers – few politicians find the prospect of campaigning on a ticket of higher council tax levels an enthusiastic one. Another major barrier is the lack of political agreement on the need for merger, particularly where neighbouring authorities are controlled by rival political parties. Along with a fear of lapses in quality, the volume of people involved (and getting agreement amongst them), upfront costs and cultural and training differences, the challenges posed by a merger of authorities can seem daunting. 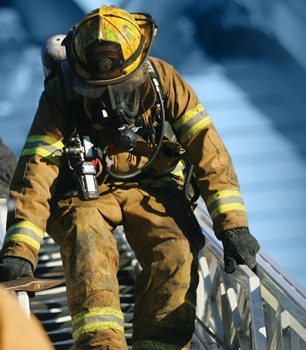 In order to succeed, fire & rescue services must be sure that there are sufficient levers in place for merger to occur – and that the process itself is worth embarking on. A lot of time and energy needs to be invested in mergers to ensure the integration is as smooth as possible, so it is vital that the ground work and planning has been done up-front. Whilst there have been just two formal fire service mergers, there are myriad examples of joint working right across the sector: joint procurement, reciprocal arrangements for providing specialised services, shared back office functions and closer working with other blue light services. Many of these are delivering tangible, material results. Despite the cancellation of the FiReControl Project, we have also seen a number of new joined up control room facilities as well as joint control rooms with police services, which again, should prove valuable exercises. Whilst the numerous examples of joint working that exist are undoubtedly positive, it is unclear whether they're sufficient to deal with the challenges fire services face going forward. The LGA report calls for "government to smooth the way across Whitehall for greater locally led collaboration" and that the support should include "providing one-off transitional funding". That would certainly help. However, it's time for a change. The fire service has an opportunity to ensure long term financial sustainability, but needs to embrace change. Senior leaders and politicians from fire authorities need to show the same responsiveness and leadership that characterises operational activity, to make the tough decisions about reconfigurations and mergers if the services they provide are to continue being delivered to the same exacting standards which the public have come to expect of them.